Tuscaloosa, Ala. — Works by Charlotte Wegrzynowski will be on display in The Arts Council Gallery at the Dinah Washington Cultural Arts Center Nov. 3-22, 2017. 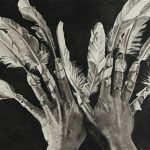 Titled Invoke, the exhibit of works in charcoal will open with a reception honoring the artist on Nov. 3 from 5-8 p.m. during First Friday. 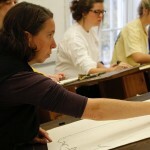 Charlotte Wegrzynowski teaches in the Foundations area of the UA Department of Art and Art History. The 2016-17 school year was her ninth year of teaching at The University of Alabama. She has taught Drawing I and Design I in the Department of Art and Art History as well as two graduate level watercolor classes for the Department of Theatre & Dance. She has given guest lectures in art appreciation as well as in anthropology classes. Wegrzynowski has been juried into exhibitions at the Meridian Museum of Art, the Alabama Women’s Art Caucus in Huntsville and won second place in the SECAC 2016 Juried Exhibition. She received the Best of Show award in the 31st West Alabama Juried Art Show. 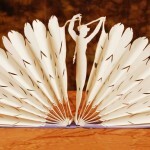 She received her BA from The University of the South and the MFA from The University of Alabama Book Arts Program. She has been an instructor at The University of Alabama Department of Art and Art History since 2008.